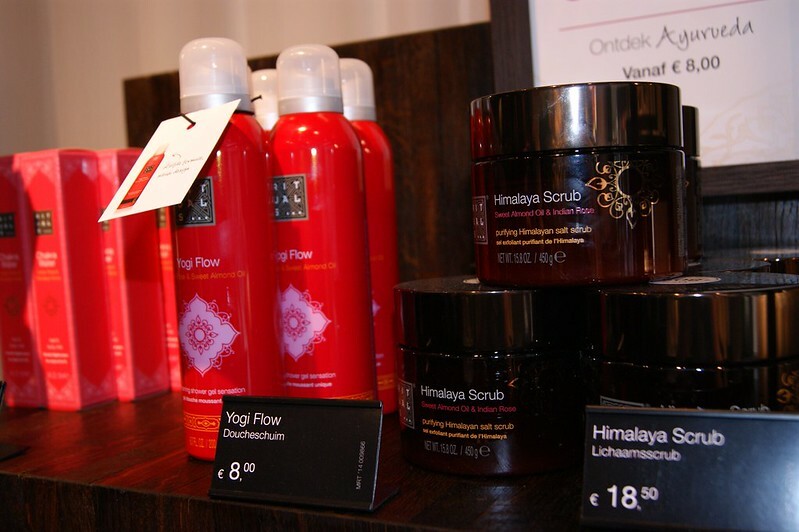 Last Wednesday, I jetted off to Antwerp to discover some novelties at the Rituals store. 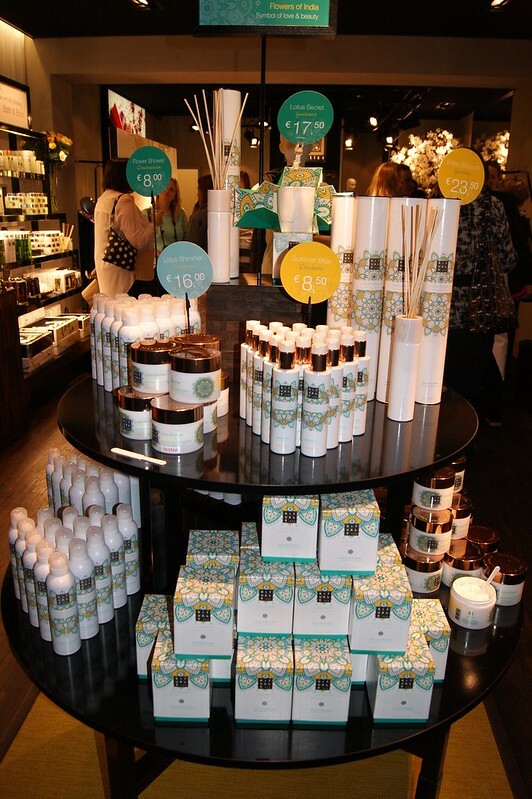 Rituals is the first brand to combine both body and home cosmetics: body creams, facial creams, perfumes, make up, tea, scented candles ... You name it, they have it. As you may already have noticed from the brand's name, all products are inspired by authentic Eastern rituals. Anyway, like I said two minutes lines ago: Rituals decided to add some changes into their range of products, which you can read below. 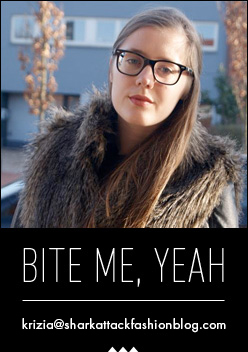 I'm not going to explain each and every product -- I suggest you go and try them out yourself. The staff will be more than happy to help you out, trust me. 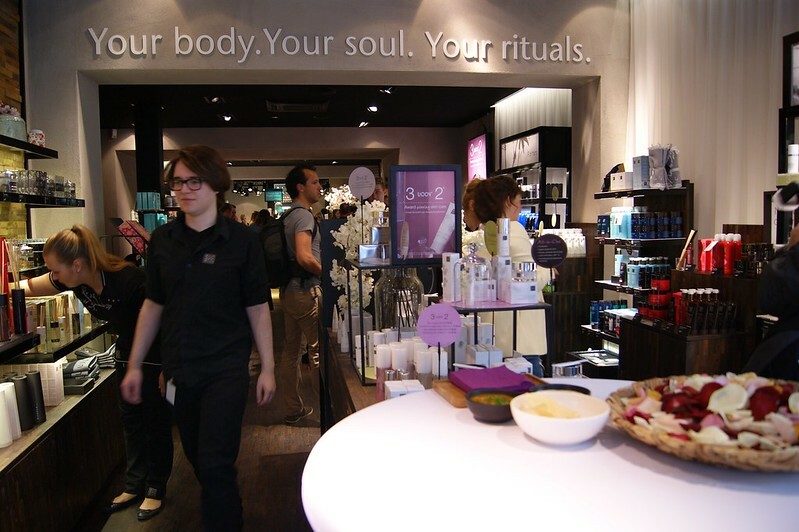 With stores in Amsterdam, London, Lisbon, Berlin, Stockholm, Sao Paolo, New York and Antwerp, you are destined to bump into a Rituals stores sooner or later, so do stop by if you have the chance. Plus, all of the products are affordable -- thumbs up! The Flowers Of India beauty range is a limited summer edition, based on white lotus and Bergamot. In India, giving someone fresh flowers is a sign of love and commitment. 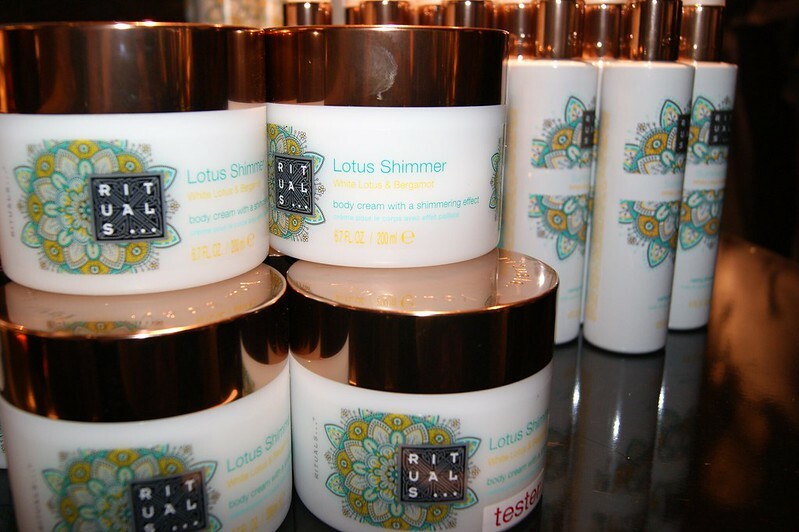 The lotus stands for absolute beauty, pureness and enlightenment, which was Rituals' inspiration to create this line. This limited edition collection consists out of Flower Shower; shower foam (€ 8), Summer Bliss; shower oil (€ 8,50), Lotus Shimmer; body cream with a shimmery glow (€ 16), Lotus Secret; a scented candle (€ 17) and Indian Blossom; scented sticks (€ 23,50). Temporarily available from April 2014. These 10 products are designed to give you the best traditional Ayurveda treatment at home. With Indian roses and sweet almond oil as the main ingredients, Rituals introduces 3 new products into this beauty line: Ayurveda Scrub, Shanti Shower and Chakra Water. The famous Himalaya Scrub jar got a make over, making it bigger and therefor containing more scrub. The Ayurveda collection consists out of Ayurveda Scrub; body scrub (€ 10), Shanti Shower; shower oil (€ 8,50), Chakra Water; bed and body mist (€ 16,50), Himalaya Scrub; body scrub (€ 18,50) and Yogi Flow; a gel that foams when it gets into contact with water (€ 8). If you are familiar with Rituals, the Hammam collection will definitely ring a bell, since it's one of their most famous and most loved beauty lines. The Hammam is one of the oldest cleansing rituals in the world and origins from the East. It is said to purify both body and spirit. I went to Morocco once and I'm kinda bummed that I didn't get to discover the Hammam when I was there; it's still on my wish list. Anyway, back to the topic: the Hammam collection, filled with rosemary and eucalyptus, got a beauty make over to improve the products even more. The Hammam Body Mud got a renewed formula and the popular Hammam Hot Scrub gets a bigger jar. A little bird at the event told me that a lot of Rituals' customers were bummed that the jar of scrub always finished so quickly, so they decided to use a bigger jar for the same price. Win - win! Plus, it's nice to see that the team at Rituals actually listens to their customers' needs. 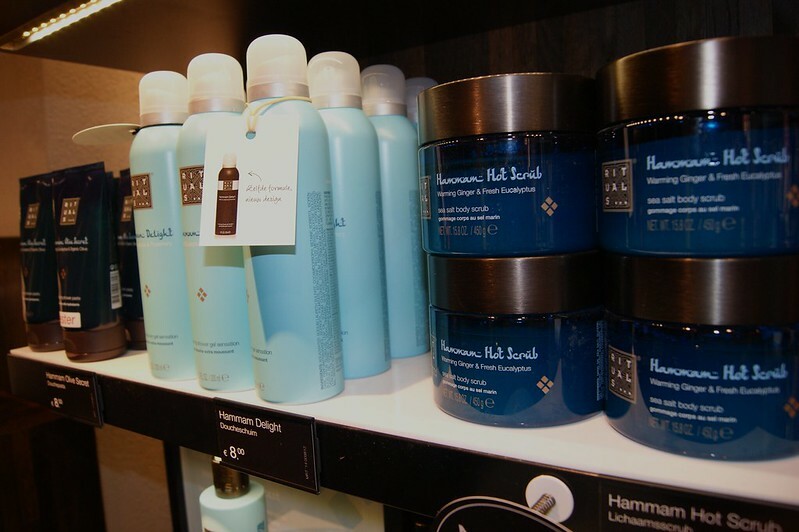 The Hammam collection consists out of Hammam Hot Scrub; a scrub (€ 18,50), Hammam Body Mud; a body mud (€ 10), Hammam Olive Secret; a shower paste (€ 8,50), Hammam Delight; a shower gel (€ 8), Heavenly Hammam; a bath oil (€ 13,50), Hammam Massage; a massage oil (€ 13,50) and Spark Of Hammam; a body lotion (€ 12,50). For more details about the products and / or their ingredients, I'd suggest you to take a look at the Rituals website or to visit one of their shops. 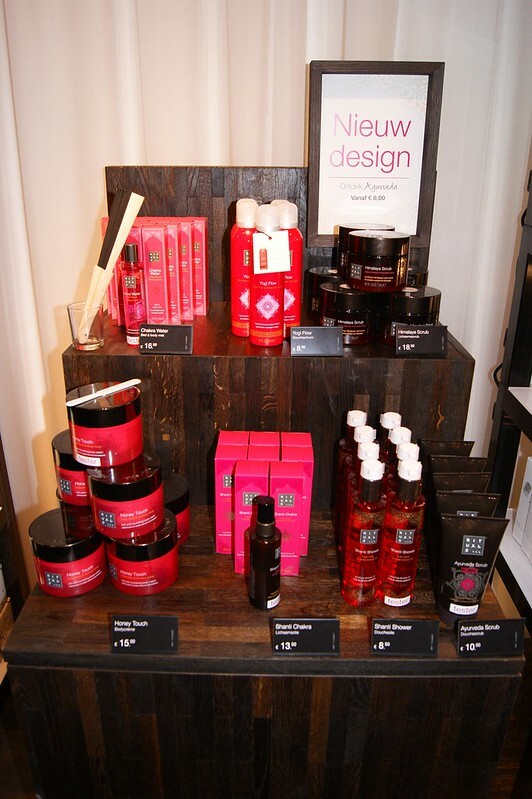 Rituals is known for the fact that you can try out almost every product in their store and the staff is also super friendly. 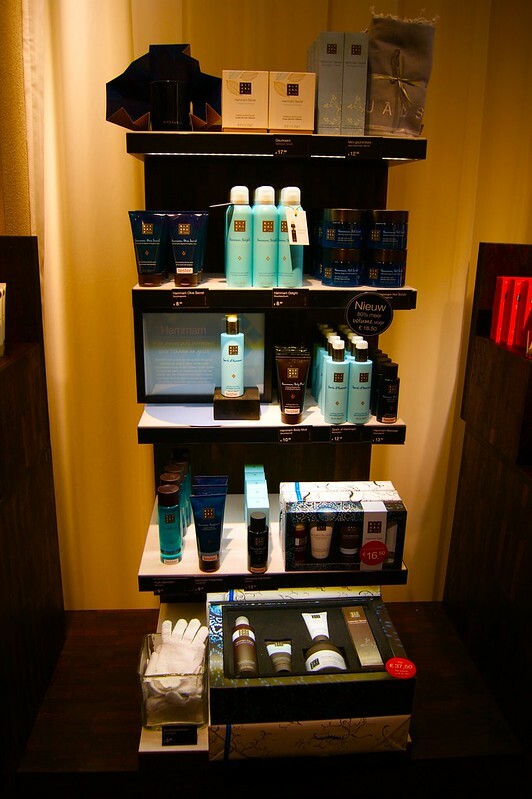 Are you familiar with Rituals products? Leuk verslag! Ik ben een echte ritual fan, vooral hun scrub and blush vind ik goed! Het was inderdaad fijn om je terug te zien! Mooie foto's en ik vond het leuk je te ontmoeten! Thanks for sharing this site, it is very informative for the business personals.Keep on continuing with this.Also visit my site Closeout sales We offer a wide selection of brand name items from major department stores and much more. If you can't find what you are looking for listed than feel free to contact us.